Summer is the prime time for many of us to be out and about and enjoying the warm weather and nature. If you’re like me, you still enjoy having your cell phone at hand for checking in or emergencies. However, keeping your cell phone safe during the summer can be tough between all the heat, sand, water and spontaneous storms. These days cell phones can cost hundreds of dollars, so it’s not something many of us can easily replace. That’s why I came up with a few ways to protect your cell phone this summer! 1. Keep your phone out of the sun and heat. Most of us want to keep our phones near by, but if you’re going for a dip in the pool or ocean you obviously don’t want to take it with you. Instead of leaving your phone out on a sunny table or in a hot trunk, try to keep it in the shade or a bag. If you notice your phone is really hot when you go to use it, wait until it cools down to protect both the phone and yourself. 3. At the pool? Use a speaker system for your summer tunes. There’s something so relaxing about floating in the pool listening to your favorite summer tunes. To really enjoy music from a cell phone, you usually have to have it near by so you may ponder just sticking it in a float. Instead of taking a chance of your phone taking an unwanted bath, invest in a speaker system that you can use with your phone so you can enjoy your music while being several feet away. 4. Insure your phone. Crap happens and cell phones are expensive, even when extending your contract. If you made, and would have to make if you had to replace, a huge investment in your phone, you may want to think about insuring it. Most cell phone providers have insurance options which cost just a few dollars a month and have around a $50 deductible. Just make sure it includes water damage! 5. Invest in a quality case. While they can be expensive, I find having a quality case can really help prolong the life of your phone – and help the resale value by preventing scratches and dents. Some are even water-proof! Plus it’s a great way to extend your style onto your phone. 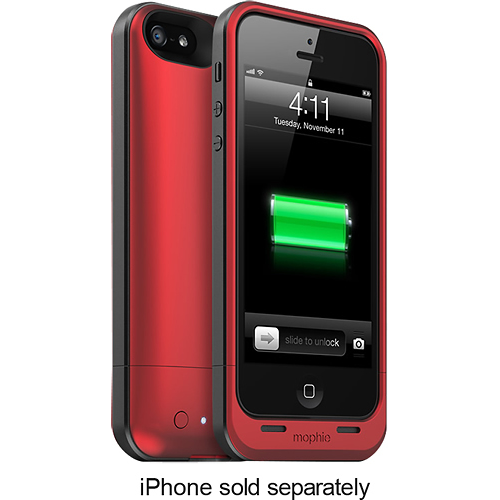 Some of my favorite brands include Otterbox and Mophie. Plus, it’s a great time to save on a new Mophie iPhone case as Best Buy has a number of their cases at 10% off for a limited time! That’s a sharp looking case if I do say so myself! What are some ways you protect your cell phone during the summer? 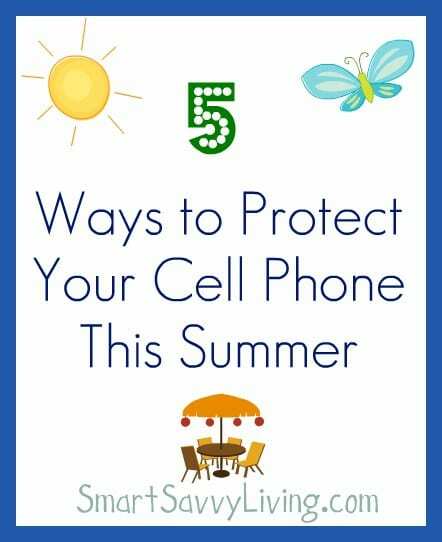 Check out our other tech posts if you enjoyed this post about 5 Ways to Protect Your Cell Phone This Summer! Investing a little for a phone insurance and high quality casing is very helpful to protect the phone and save yourself from spending quite a lot in buying a new one. The other tips are also equally helpful. Thanks a lot for this. Thanks, Jeremy. Those are always our top 2 year round as well. Thanks for stopping by, Dina, I’m glad you found them useful.